Rainer Zellner and his Music Contact team send the latest news on tours by bands in bluegrass and related music in the February 2013 Music Contact newsletter. Recordings from the 4th Bluegrass Jamboree! - Festival of Bluegrass & Americana Music (Nov.-Dec. 2012) will be broadcast today (30 Jan.) at 20:05-22:00 on WDR 3. 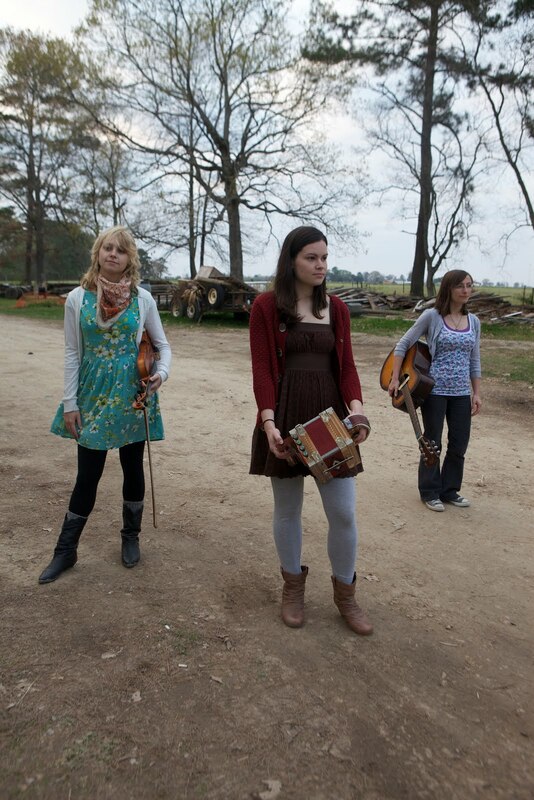 Many reviews, videos, and photos from the tour are available on the internet. 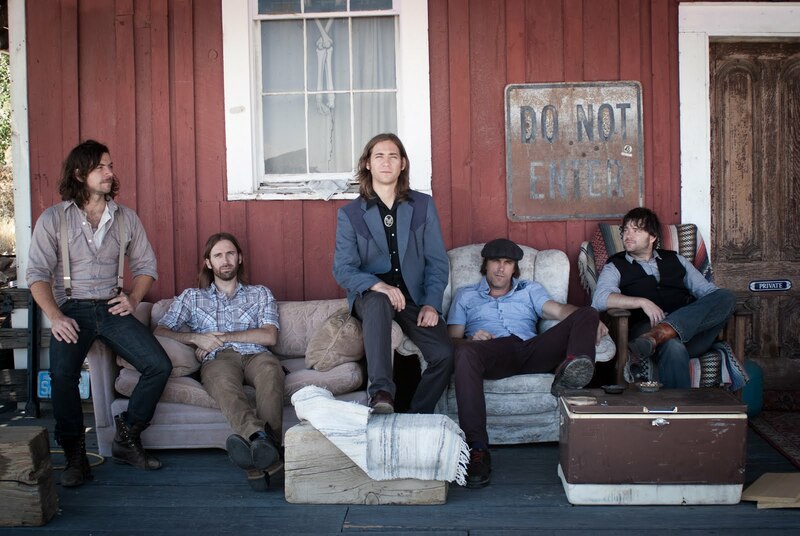 Lots of new bluegrass concerts announced on the calendar. Also check out every Sunday evening at 23:00, 'Closing Time' on VRT Radio 1, presented by Johan Heldenbergh (Broken Circle Breakdown), with old country songs and some bluegrass. Very interesting! 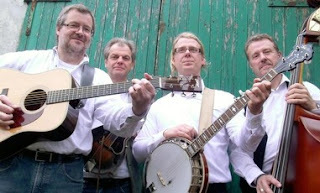 A new bluegrass festival in Oelegem, Belgium, called 'Low Country Bluegrass Festival' on 29-30 June. A very nice initiative by Blue Maxx [above] with bands from Belgium, Germany, the Netherlands, UK, and the Czech Republic. Make sure to support this festival in any way you can - for example, by buying tickets on http://www.lcbf.be. Also don’t forget the annual European World of Bluegrass in Voorthuizen (NL) with about 40 European bands on 9-11 May. Still only two hours away from Brussels! 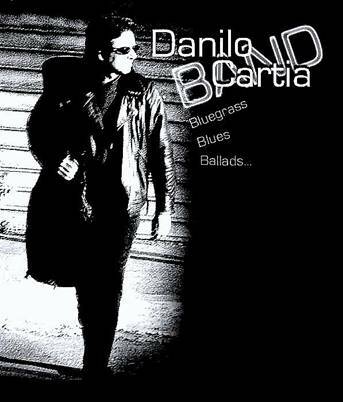 Banjoist, guitarist, singer, and bandleader Danilo Cartia (I) announces that he will be playing bluegrass, blues, and ballads as a duo with Luca Francini in Rome, Italy, this week: on Thursday 31 January at the 'Pirati Pub', Via Mario Menghini 97. The show starts at 22:00, and admission is free. 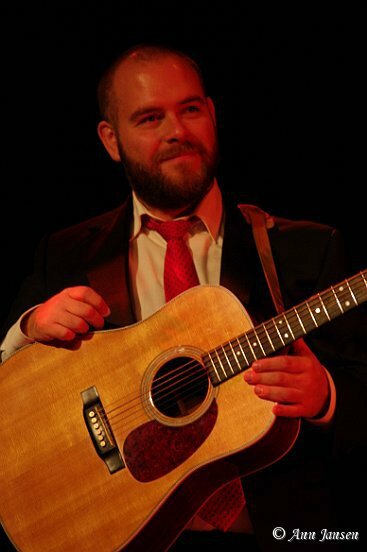 I'll be participating in a special performance of Mike Auldridge music at the Birchmere, along with other friends of Mike, including Jerry Douglas, Emmylou Harris, David Bromberg, John Starling, Tom Gray, Fred Travers and the Seldom Scene, Sally Van Meter, and many more. Tickets go on sale today at 12:00 p.m. EST on Ticketmaster. If you are in range, I hope to see you there - or if the Birchmere is too far, I hope you'll join us in spirit to celebrate this legendary life. More details about the event and about Mike Auldridge are in this press release. 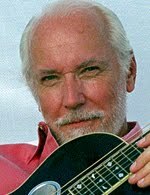 Thanks to Ray Whiteway-Roberts (UK; see photo), whom many throughout Europe will know from his appearances as an MC (and performer) at major bluegrass festivals such as EWOB (NL) and La Roche (F). 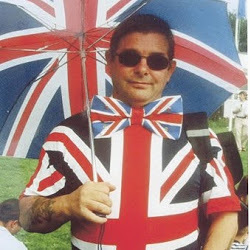 Ray sends the news that in the last couple of years he has put over a thousand videos on his YouTube channel; in fact, the number at today's date is 1321. 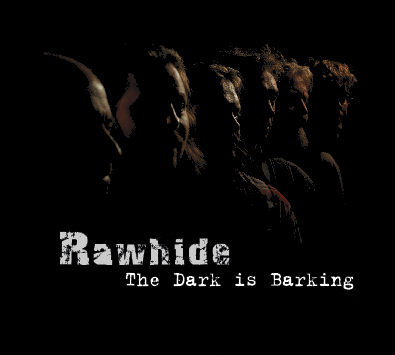 They are predominantly of performances by British and European bands at bluegrass events and folk clubs - so, as Ray says, he is 'doing something to record the music of our times for the future'. 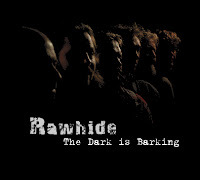 Following upon the very favourable review in Bluegrass Unlimited magazine (which can be read on their website), the prominent Belgian band Rawhide have now received a further nice review from John Goad on Bluegrass Today for their latest CD, The dark is barking, released early last year. 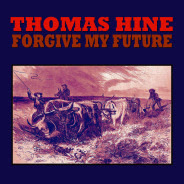 The review includes an iTunes playlist. 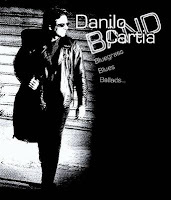 Banjoist, guitarist, singer, and bandleader Danilo Cartia (I) announces that he will be playing bluegrass, blues, and ballads as a duo with Luca Francini on Friday 18 January at the 'Frane Letterarie', Via San Martino ai Monti 7/a, Rome, Italy. The show starts at 22:00, and admission is free. 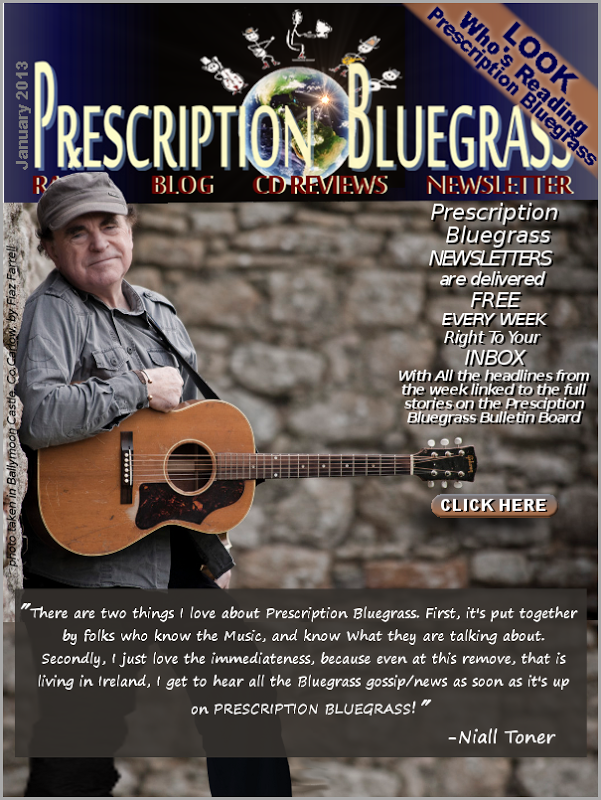 C. Paul Lyttle, presenter of the fortnightly 'Criffel Creek' radio show in Scotland (see the EBB's 'Radio playlists' post) and also organiser of the annual Moniaive Michaelmas Bluegrass Festival, announces that the Festival website now has a new banner heading, shown above. Paul also draws attention to the information on the right-hand side of the website's calendar page, which includes the lineup for this year's Festival (27-29 Sept. 2013) and more news. 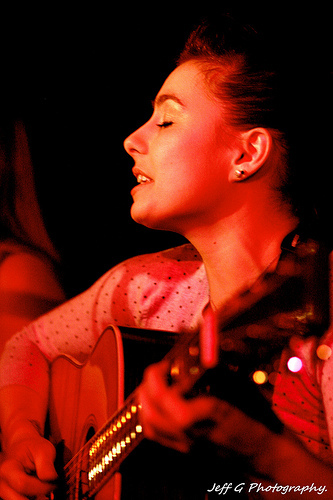 The Festival organisation also arranges a concert series throughout the year, under the title 'Bluegrass Connections'. 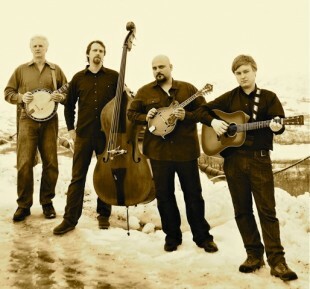 The Old Tire Swingers old-time string band from California will be playing at Moniaive on 26 Jan., near the midpoint of a tour of Britain and Ireland that began on Friday last (11 Jan.) and will continue to 12 Feb. Full details can be seen here. 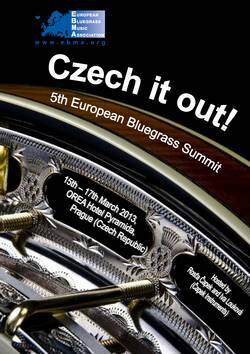 The European Bluegrass Music Association is happy to confirm the arrangements for the 5th European Bluegrass Summit on the weekend of 15th–17th March 2013. They will take place in the beautiful city of Prague and will be generously hosted by Rosťa Čapek and Ivana Louková, who are experienced promoters and organisers. The Summit will be held under the auspices of the Senate of the Parliament of the Czech Republic. Please help us spread the word to people you think should attend this summit. The summit is open to all, professionals and non-professionals, members and non-members of the European or other national associations, who think they may benefit from sharing ideas and best practices with like-minded people doing similar work in other countries. 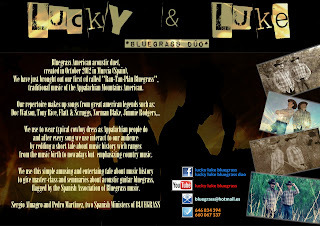 This includes fans, musicians, promoters, journalists, webmasters, national association reps, and anyone else with a personal, professional, or organisational interest in Bluegrass in Europe. In line with EBMA's mission to work together to support Bluegrass music across borders, the summit aims to provide Bluegrass enthusiasts and activists with a forum for exchange on subjects in which they take a personal and active interest. New subjects will hopefully be raised. As in previous years, attendees are invited from all European regions. The costs and necessary arrangements for travel, subsistence, and accommodation are the entire responsibility of the participants. The summit will be limited to 60 delegates and early booking is advised. To confirm the reservation of the room and the conference package (which is the necessary condition for participation in the Summit) please to complete the online form at the special hotel webpage. A number of rooms have been reserved in the four-star OREA Hotel Pyramida, Bělohorská 24, Prague 6. Pyramida Hotel is offering a special price for summit participants and their companions (valid also for Thursday before and Sunday and Monday after the Summit. The price of conference package is 110 Euros/person. This includes: Friday and Saturday nights with breakfast, Saturday and Sunday three–course lunch incl. a drink, afternoon refreshment, shared (double) room. Single rooms are 40 Euros extra for two nights. Upgrade to superior double is 58 Euros, and business double 98 Euros extra, respectively (for two people for two nights). 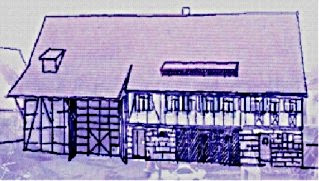 For partners not participating in the summit meetings, accommodation for the two nights with breakfast is only 40 Euros. (=150 EUR standard double room for 2 nights for a couple 'Summit participant + bluegrass-uninterested partner':-). 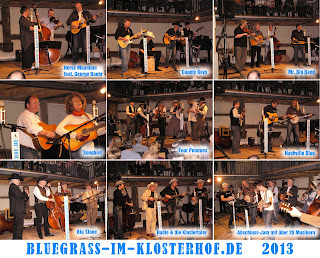 Bluegrass concert starring Pete and Joan Wernick (USA), Bill Keith (USA) and some more European and Czech bands and musicians. More information soon at www.capek.us.The price of the concert is EUR 12/16/20 according to the selected seating – book the tickets in advance here. It is the first time the EBMA will be giving away the Awards. The committee of respected experts (Lilly Pavlak, Richard Hawkins, Paolo Dettwiler, Christian Seguret, Bruno Steffen, Eberhard Finke) have been working on the selecting process since 2012. The Awards will be presented at the Saturday concert. If you want to get rid of the old T-shirts from your festival or organisation (as well as stickers, badges, CDs...) BRING THEM! The other participants might like them, take them, wear them and promote your event in another part of the world! The hotel is very conveniently placed near the Prague Castle (15 min. walk) and all the other places of interest. By car: The address of the hotel, the Summit meeting and the concert is: OREA Hotel Pyramida, Prague 6, Belohorska 24. Free parking is possible in the neighbourhood or you can use the hotel parking (for 300CZK/12EUR per day). By plane: Vaclav Havel International Airport in Prague is only 15-20 min. drive from the Hotel Pyramida, taxi would cost approx. 350-400CZK/15EUR. It is also possible to use public transport - Bus No. 119 operates between the airport and Dejvická Station and from there Bus No. 143 drives to Malovanka Station near the hotel. The journey takes around 50 min and you will need one ticket for 32CZK/1.30EUR. By train: The Prague Main Station is only 15-20 min drive from the Hotel Pyramida, taxi would cost approx. 400CZK/16EUR. It is also possible to use public transport - Metro Line C from Main Station (Hlavní nádraží to Station Vltavská, there change for tram No. 25 Malovanka Station is near the hotel. The journey takes around 40 min. and you will need one ticket for 32CZK/1.30EUR. Public transport near the hotel: Bus No. 143, Tram No. 22 and 25, Night Tram No. 57. The Public transport station name is Malovanka, it is approx. 100m from the Hotel Pyramida. 17:00-19:30 delegates convene for dinner in the building or have dinner individually. The EBB editorial staff regrets that in this format the Summit invitation does not have the visual appeal of the original version that is being issued. 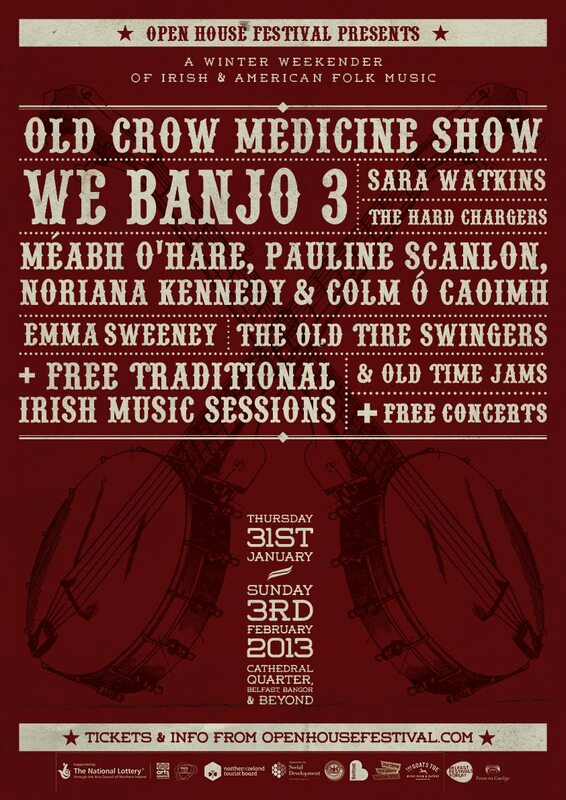 Looking forward to next year's meeting, which is scheduled for Saturday 11 January 2014. 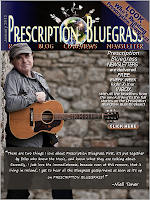 Thanks to Brian McNeal of the Prescription Bluegrass Blog (USA) for the news that the latest in his weekly 'Who reads Prescription Bluegrass?' 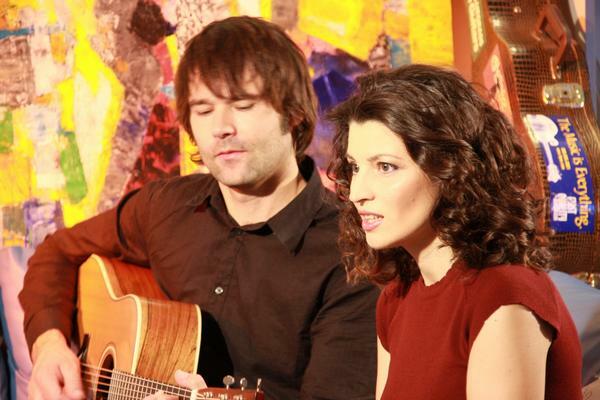 series (which has previously featured such artists as Greg Cahill and Claire Lynch) is devoted to Ireland's Niall Toner. Niall is the first European artist to be featured in the series. As shown, each week's feature consists of a make-up 'magazine cover' and a brief descriptive text, together with links to other PBB posts connected with the subject. The featured artists add their own tribute to the PBB and their reasons for reading it. Read the whole of this week's feature here. 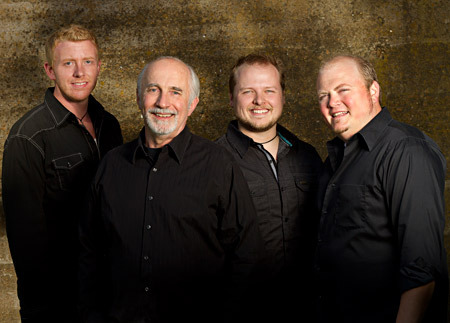 Rainer Zellner and his Music Contact team send the latest news on tours by bands in bluegrass and related music in the January 2013 Music Contact newsletter. Recordings from the 4th Bluegrass Jamboree! - Festival of Bluegrass & Americana Music (Nov.-Dec. 2012) will be broadcast on 9 Jan. at 20:03 on Deutschlandradio Kultur, and on 30 Jan. at 20:05-22:00 on WDR 3. Many reviews, videos, and photos from the tour are available on the internet. Further dates are being arranged.